both). She is my ball watching buddy. This is a summary for Brinley from 34-34.5 months old. Sleeping is great! She had a day of testing getting out of bed at nap time. I heard a door slamming and was about to go have a talk with the older kids on not slamming doors–especially during naptime–when I stopped and thought. I realized the sound had come from Brinley’s room. I checked the video monitor (love) and saw her bed empty. I talked through the monitor (seriously an awesome feature) and told her to get in her bed. She quickly did. Being able to talk into a the video monitor is seriously fantastic. A lot of times kids will test getting out of bed in order to have a visitor. Other times, the child gets some thrill out of seeing you frustrated and will get out of bed just to see your reaction (so if you do have a child who gets out of bed and you do not have a monitor, do your best to remain perfectly calm). I love being able to just tell Brinley to get back in bed without having to go to her room and let her expand her scientific testing with the process. Eating is good. Nothing new or different. One morning, I got Brinley up for the morning and saw her hair was wet. It didn’t seem sweaty so I checked her bed and determined that she had thrown up. 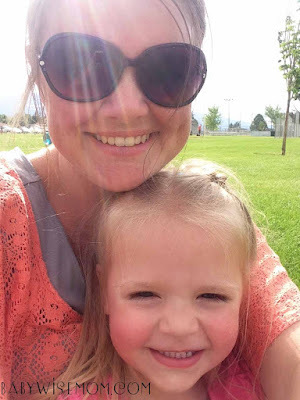 It was recent and there were no food chunks (sorry for the TMI, but really, this is a parenting blog and we parents talk straight about bodily fluids). She wasn’t upset or anything. I set her on the ground and started to strip her bed. As I did, she started to throw up more (though dry heaving would be a more accurate description). I caught the little fluid that came out in her blankets I had taken from the bed. I then took her straight to the bath. I know a lot of people don’t do showers or baths on sick days, but for me personally, I always feel better when I am clean so I always give my kids showers and baths when sick. Then I pulled her hair all up and away from her face so she couldn’t throw up in it more. She did not want any food. I grabbed a bowl for her and demonstrated how to throw up into it. Then I got her comfortable and turned on some PBS kids. She watched some shows and threw up in her bowl one time (yay! 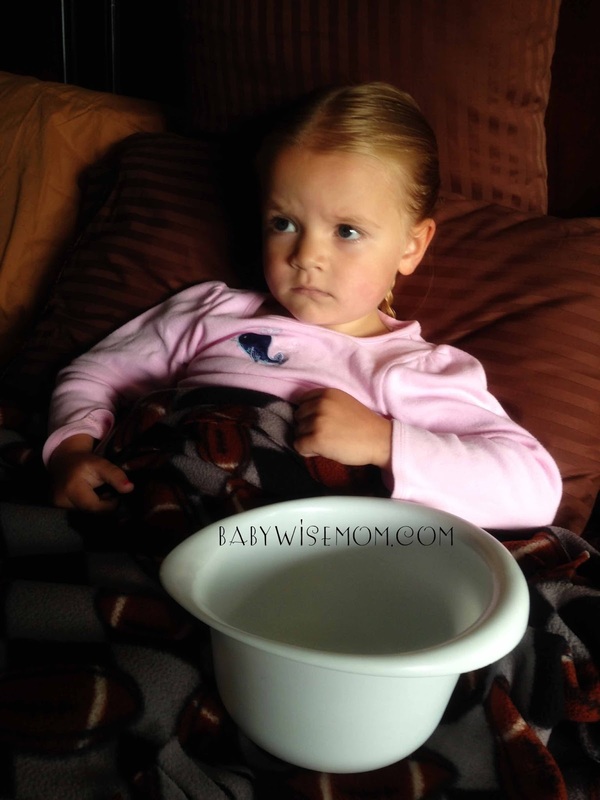 That is a great milestone–learning to throw up in the bowl rather than everywhere else). She ate applesauce for lunch and had no issues for the rest of the day. Brinley was a little trooper on her sick day. Brinley is loving summer. Her siblings are home all day every day. She has lots of fun time to play with them. It is interesting how different life can be for different kids. For Brayden and Kaitlyn, summer days were just like any other days. For Brinley, they are significantly less structured. We do do a lot more playing in summer and therefore Brinley’s days are not as consistent from day to day. I do strive to keep her nap most days. She also has independent play most days (though last week she didn’t have it one of the days all week). Kaitlyn (8) has been getting Brinley up and feeding her breakfast most mornings. Guys–it is fantastic. They both love it. I love it. Kaitlyn has even gotten her out of the bath, diapered her, dressed her, and combed her hair. I might be really sad when school starts. I love seeing Kaitlyn nurture Brinley and Brinley loves being doted upon by her older sister. I love seeing Kaitlyn get all of this mommy practice, also. Kaitlyn will be such a fun and sweet mom some day. She tends to give in to fits, but she is learning over time how to stick to rules. It is a good experience for them both. This is her typical daily schedule for summer–not a lot of structure. During the day, we will do learning activities, play outside, go for walks, go to the park, go do other fun stuff…what we do each day has varied a lot so far. This is great. It's almost identical to my son's schedule and age. I do have a couple questions. What kind of video monitor do you have? We plan to transition him soon to toddler bed, but his bed is all the way at the other end of the house from our bed, so I'm terrified!